Roll your freshly-baked waffles into the perfect waffle cone shape every time with this Carnival King waffle cone mandrel! This conical-shaped tool features a stainless steel construction with an aluminum roller and a comfortable silicone grip. The long handle makes it easy to maneuver, and it fits the angled platform of the Carnival King waffle cone forming tool (sold separately). Rather than risking breakage from pre-packaged waffle cones, this handy tool lets you roll your own fresher waffle cones to the perfect size and shape. 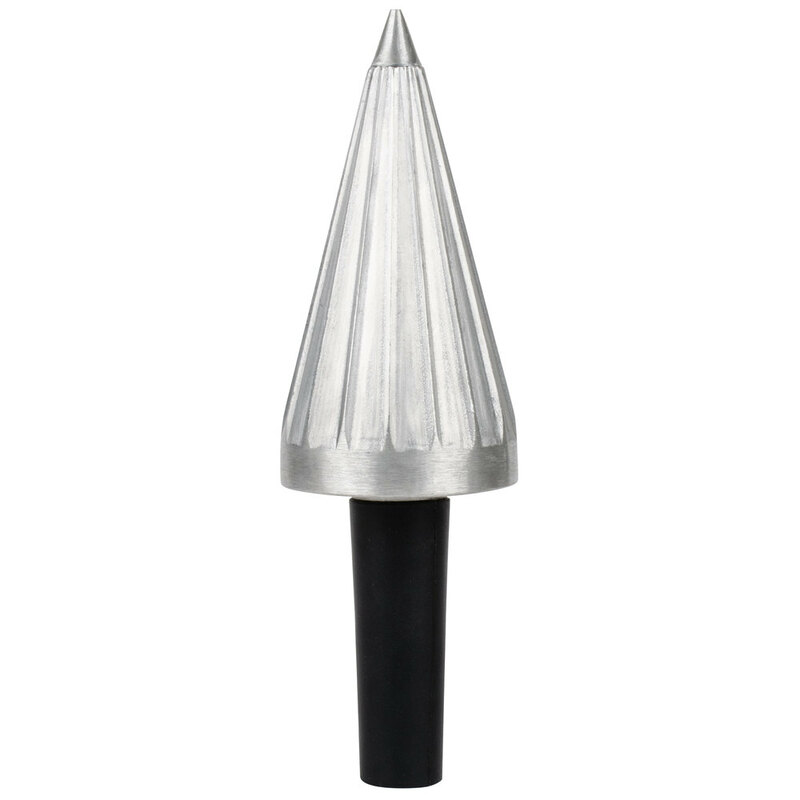 Once your waffles have been cooked, you can use this mandrel to begin rolling them into cones right away. Compared to traditional cake and sugar cones, the appearance and aroma of waffle cones is sure to boost impulse sales at your ice cream shop or concession stand. Treat your customers to the perfect combination of smooth ice cream and a crispy waffle cone with this convenient Carnival King waffle cone mandrel!